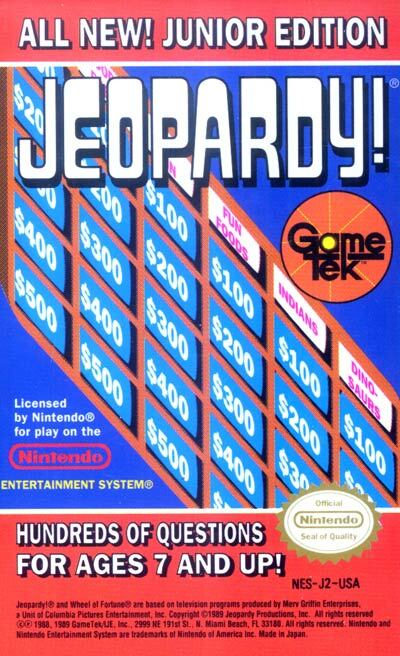 Published by: Gametek, 1989 | Developed by: Rare, Ltd.
One of the most popular game shows in television history... More comes to your NES in Jeopardy! Just as in the television show, there are three rounds to this game: Jeopardy!, Double Jeopardy!, and Final Jeopardy! This edition is for younger players.